Yumboxes are some of my most often used lunchboxes. 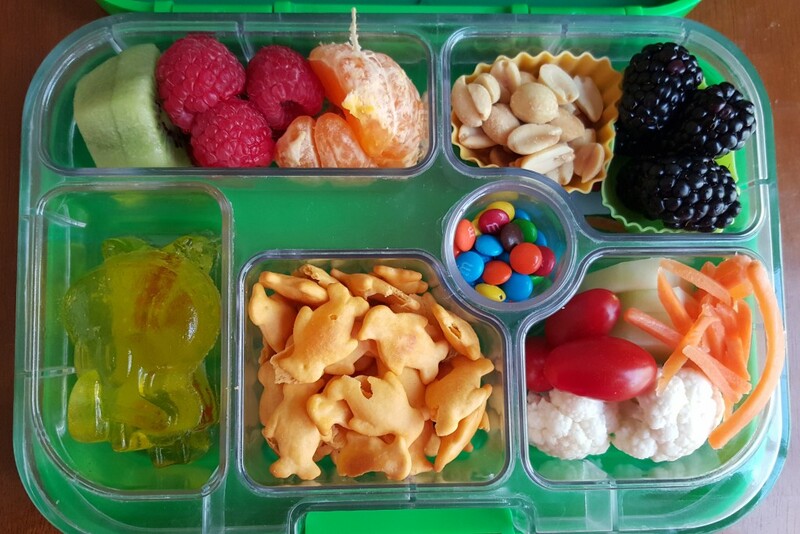 This past school year, I am pretty certain that I used Yumboxes at least one day a week and often three days a week. They are very functional, easy for my kids to open and close, and they do a great job of keeping each type of food separate and fresh. 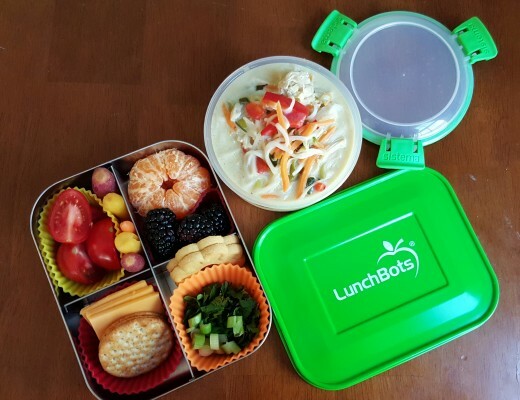 I will share a few of our Yumbox lunches in this post. 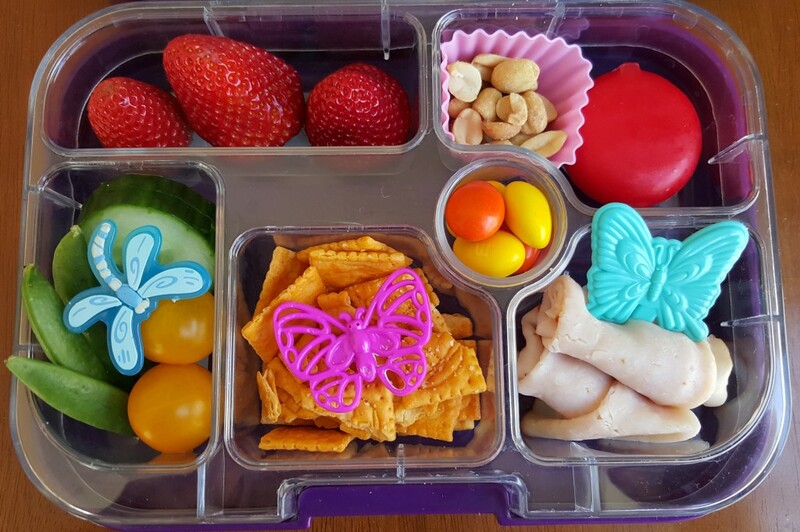 First up are two lunches decorated with butterflies and dragonflies. The one above was for my son. 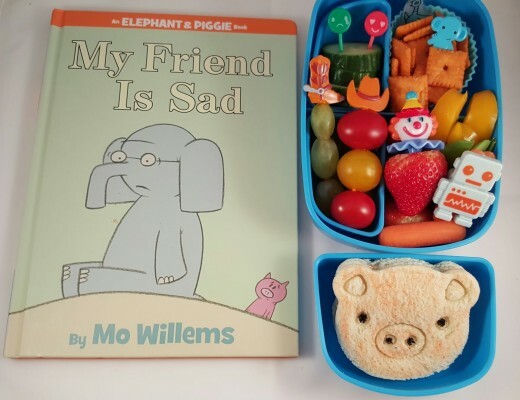 Two compartments held veggies, one had Chex mix, one had a cutie with blackberries, one had peanuts in a flower-shaped cup, and he had a few almond M&Ms in the treat section. This one was for my daughter. She had strawberries, veggies, crackers, turkey, peanuts, a Babybel, and a few almond M&Ms. 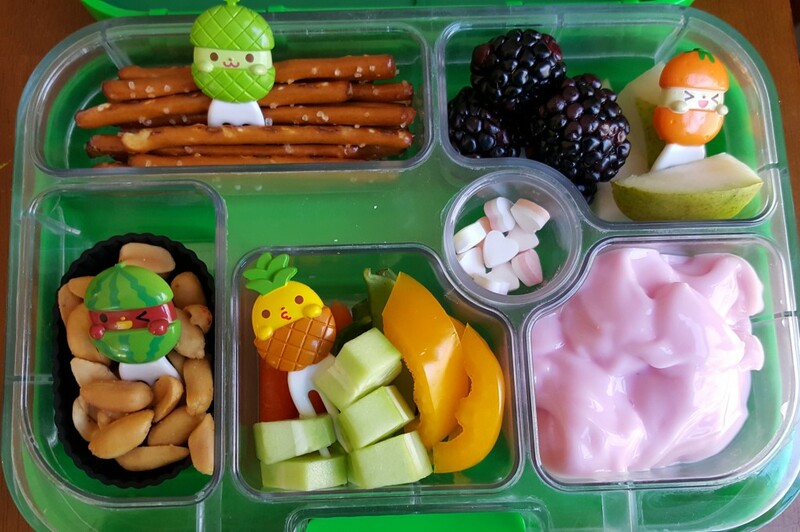 My husband had the Yumbox lunch above. It was packed in a Yumbox Panino which includes the one large section and three smaller sections. 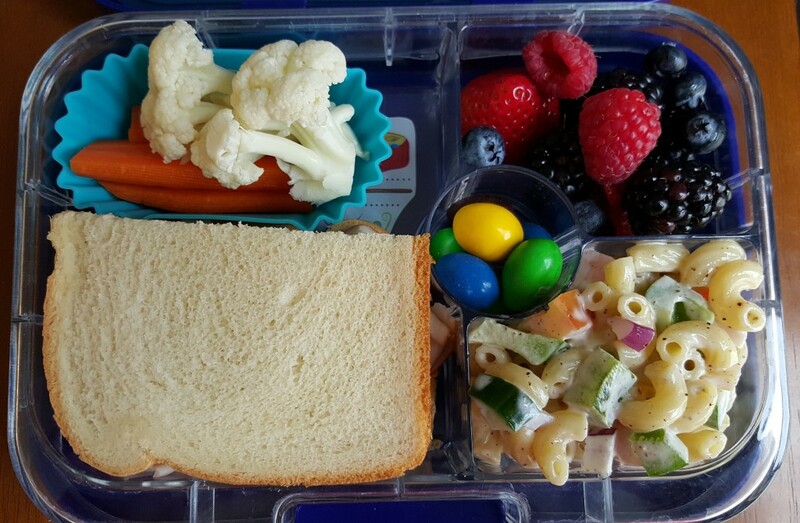 My husband had some veggies, half a sandwich, macaroni salad, berries, and almond M&Ms. 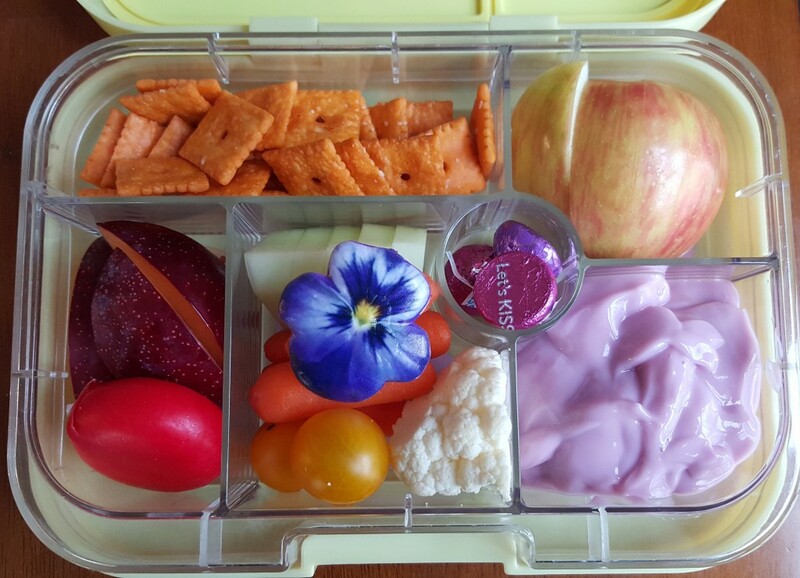 The lunch above in our yellow Yumbox was for my daughter. She had crackers, apple slices, yogurt, veggies, plum slices, a Babybel cheese, and Hershey kisses. Yumboxes work really well for packing yogurt. The seal of the silicone lid keeps each section separate with no leaks. The next two lunches are similar. The one in the green box was for my son and the one in the purple box was my daughter’s. 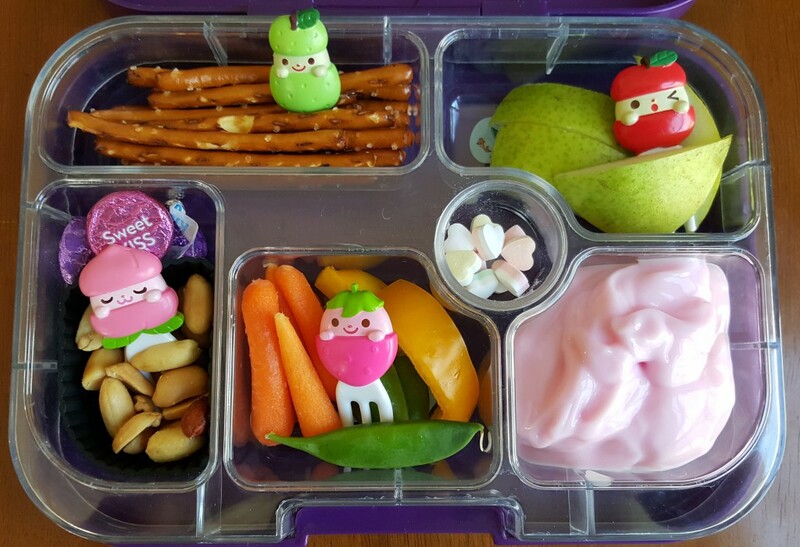 They had pretzel sticks, peanuts, veggies, fruit, yogurt, and a few mini candy hearts. 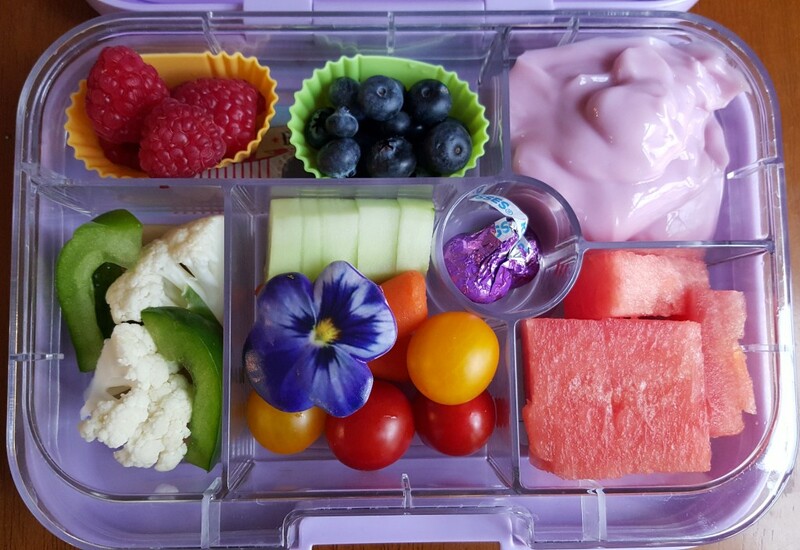 I packed these lunches and then popped in the little fruit forks for cuteness. My kids always smile at those. My daughter had the lunch below. 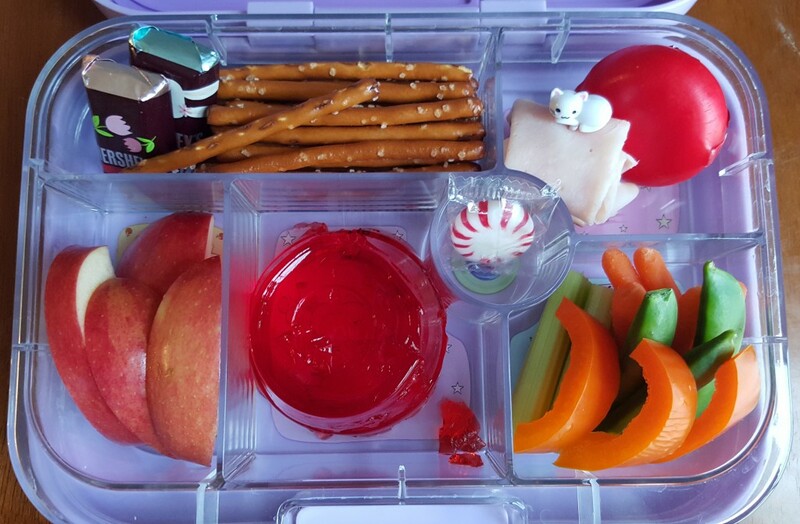 She had chocolates, pretzel sticks, turkey with a cat pick, a Babybel cheese, veggies, Jello, and apple slices. I included a peppermint in the treat section because she is a big fan of those. My son had the lunch below. He has had an ongoing interest in tarantulas and spiders in general. So we picked up a few spider chocolates at the Anthony-Thomas chocolate factory when we visited. 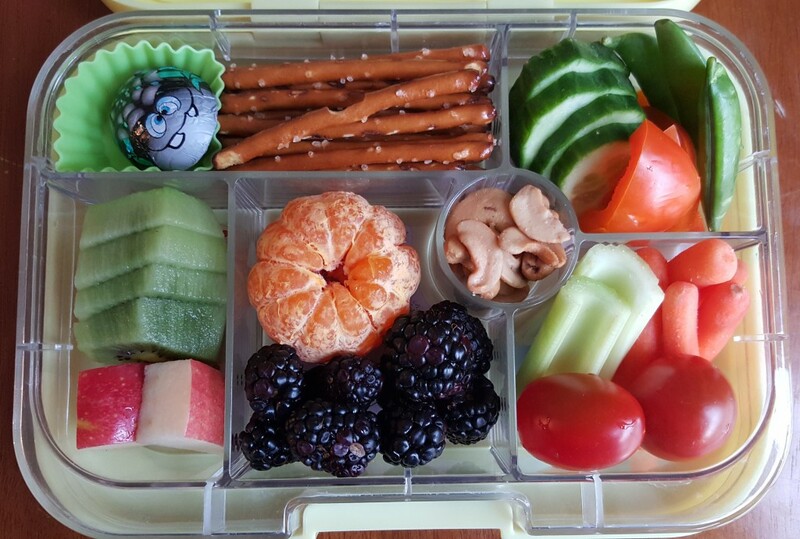 I placed it in this lunch where he also had pretzel sticks, veggies, fruit, and cashews. If you are in the Columbus, Ohio area, we recommend visiting the Anthony-Thomas factory. They offer tours and samples of their delicious buckeyes. 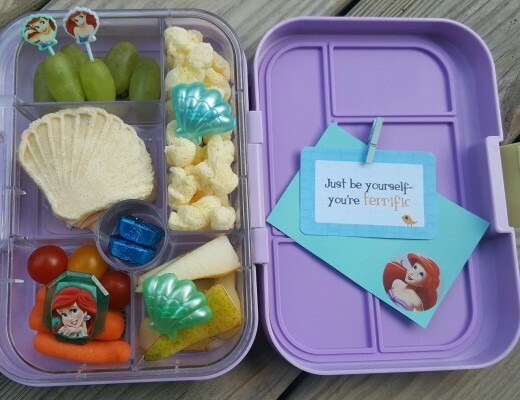 The last two lunches in this post include Jello shaped like Spongebob characters. The lunch above was for my son. He had lots of fruit, peanuts, crackers, veggies, and mini M&Ms. The lunch in the pink box above was my daughter’s. 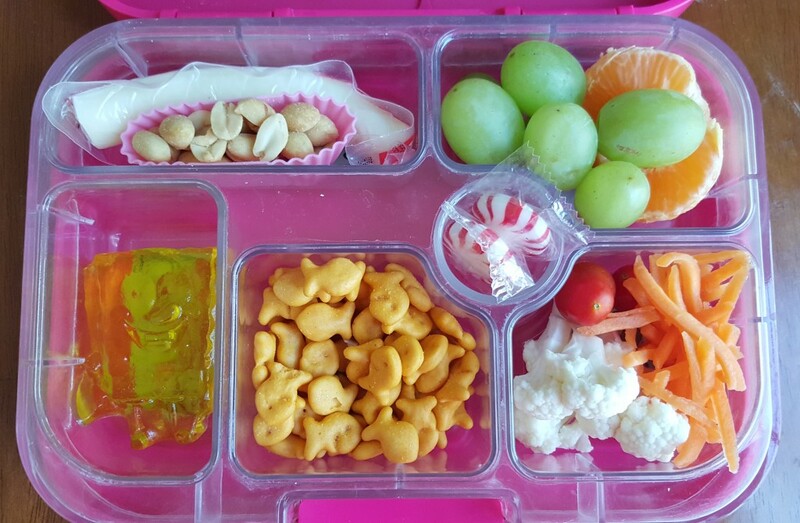 She had string cheese, peanuts, green grapes, half a Cutie, veggies, crackers, peppermints, and a Jello Spongebob. 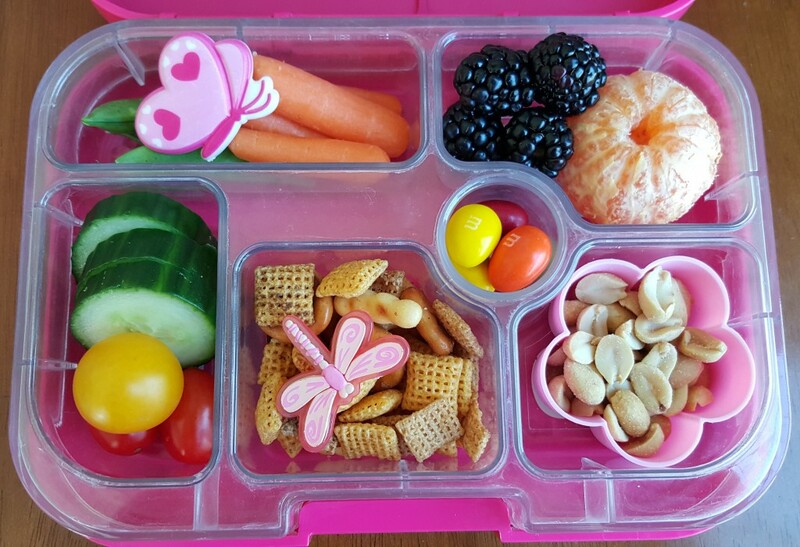 I think the lunches in this post show that Yumboxes are very useful for packing lunches.